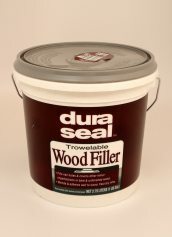 Dura Seal Trowelable Wood Filler is a safe, non-flammable, water based product for use across an entire wood floor. This product fills nail holes and covers other minor imperfections in bare and unfinished wood. 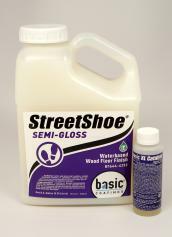 It has a fast dry time, blends and adheres well to wood, sands easily and absorbs stain similarly to wood. 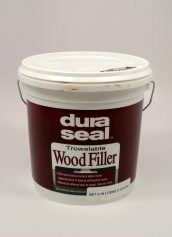 Dura Seal Trowelable Wood Filler is a safe, non-flammable, water based product for use across an entire wood floor. 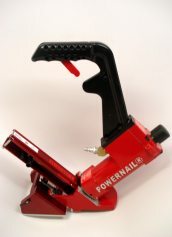 This product fills nail holes and covers other minor imperfections in bare and unfinished wood. 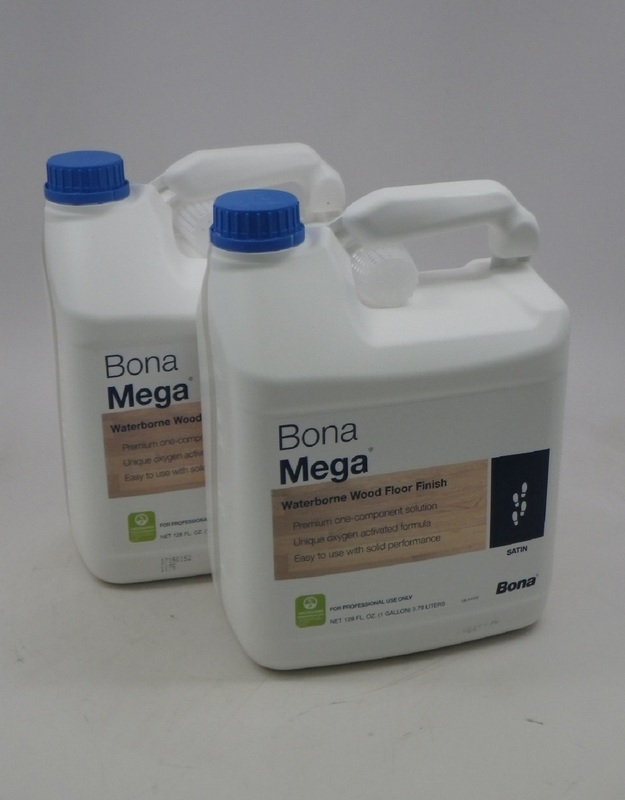 It has a fast dry time, blends and adheres well to wood, sands easily and absorbs stain similarly to wood. Brazilian Cherry Color, Gallon Container. 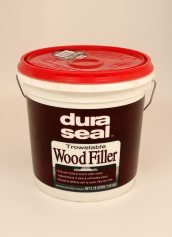 Dura Seal Trowelable Wood Filler is a safe, non-flammable, water based product for use across an entire wood floor. This product fills nail holes and covers other minor imperfections in bare and unfinished wood. It has a fast dry time, blends and adheres well to wood, sands easily and absorbs stain similarly to wood. Maple, Ash, Pine Color, Gallon Container. Dura Seal Trowelable Wood Filler is a safe, non-flammable, water based product for use across an entire wood floor. This product fills nail holes and covers other minor imperfections in bare and unfinished wood. It has a fast dry time, blends and adheres well to wood, sands easily and absorbs stain similarly to wood. Red Oak Color, Gallon Container. 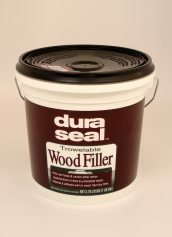 Dura Seal Trowelable Wood Filler is a safe, non-flammable, water based product for use across an entire wood floor. This product fills nail holes and covers other minor imperfections in bare and unfinished wood. It has a fast dry time, blends and adheres well to wood, sands easily and absorbs stain similarly to wood. Walnut Color, Gallon Container. 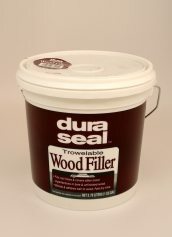 Dura Seal Trowelable Wood Filler is a safe, non-flammable, water based product for use across an entire wood floor. This product fills nail holes and covers other minor imperfections in bare and unfinished wood. It has a fast dry time, blends and adheres well to wood, sands easily and absorbs stain similarly to wood. White Oak Color, Gallon Container.